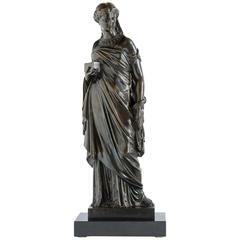 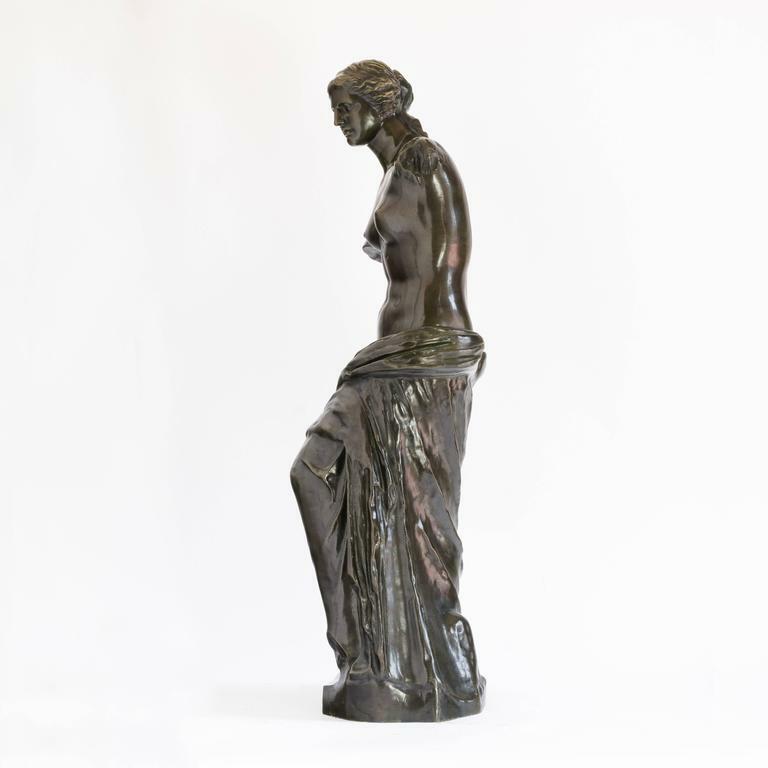 Large Grand Tour Bronze Sculpture of the "Venus De Milo"
A bronze statue of Venus de Milo the Roman goddess of love, beauty, prosperity and fertility, after the antique, early 20th century. 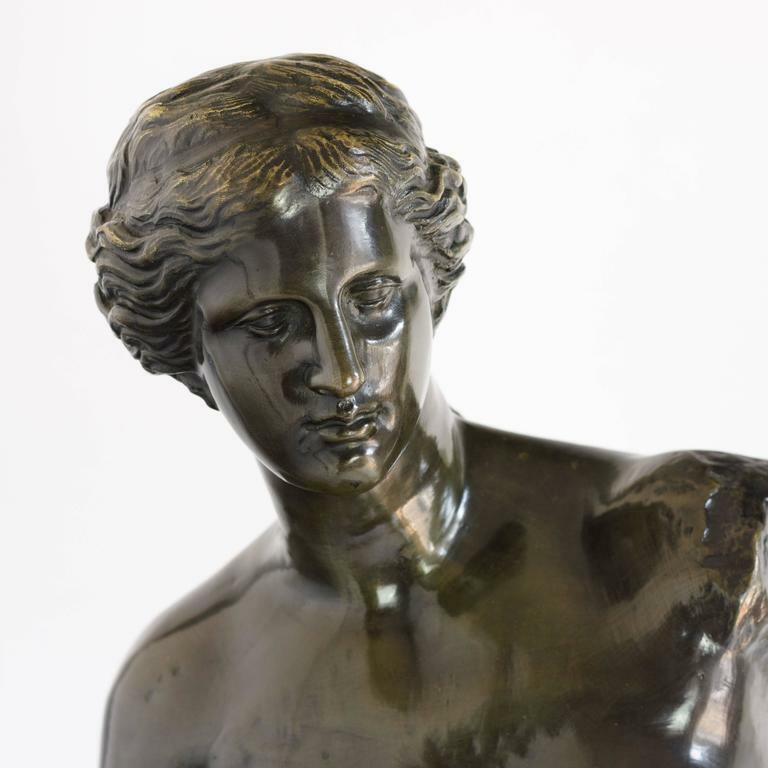 Venus was of such high importance that the Romans claimed her as an ancestress and according to mythology, her son Aeneas became the ancestor of Remus and Romulus, who founded Rome; making Venus ‘the mother of Rome’. 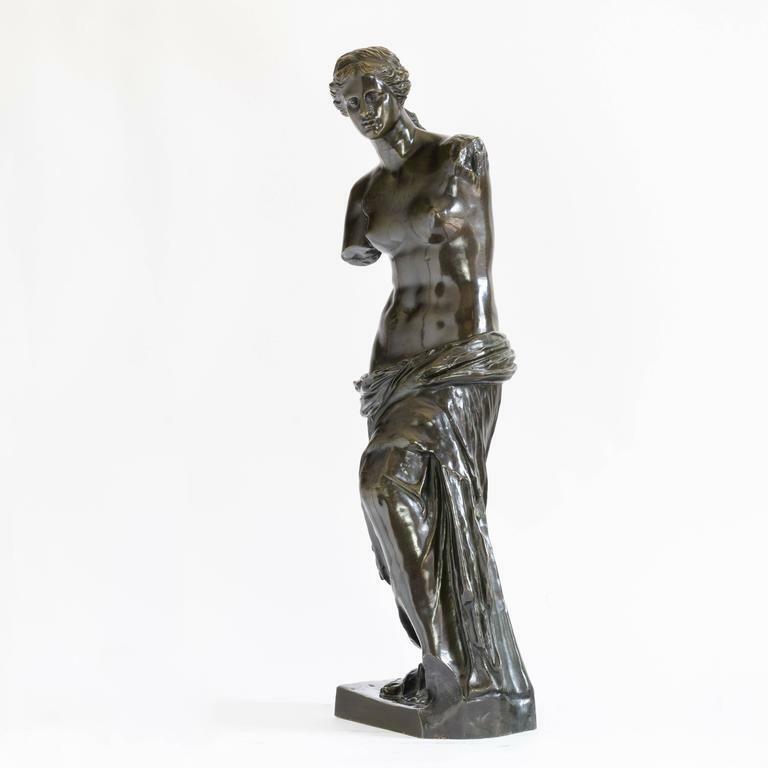 The Venus de Milo is considered one of the world’s masterpieces of sculpture and this statue boasts attributes archetypal of Venus, with beautiful curves and shape. 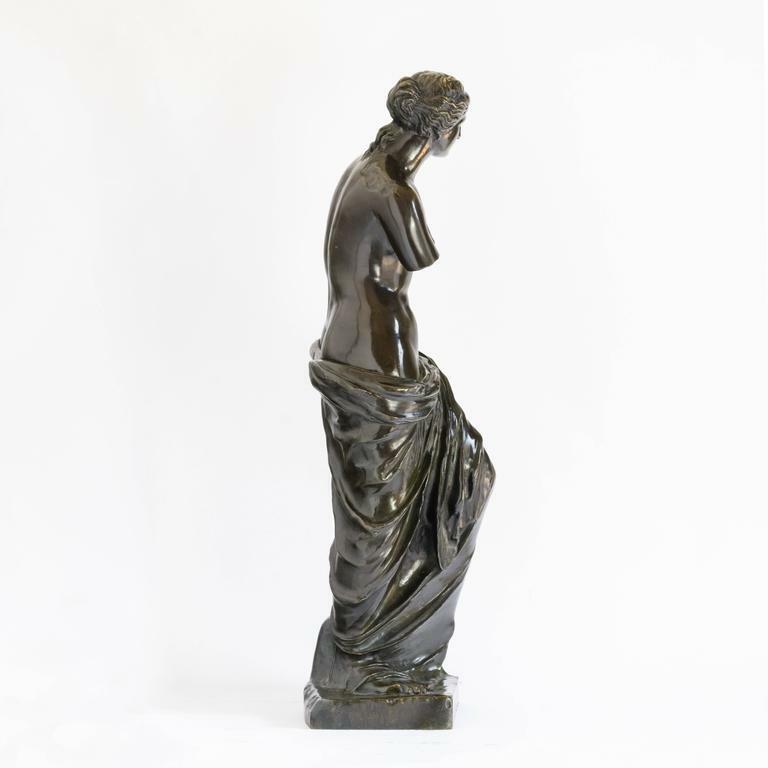 The Louvre, Paris is home to one of the first representations of Venus de Milo, thought to have been sculpted from marble in 100 BCE. 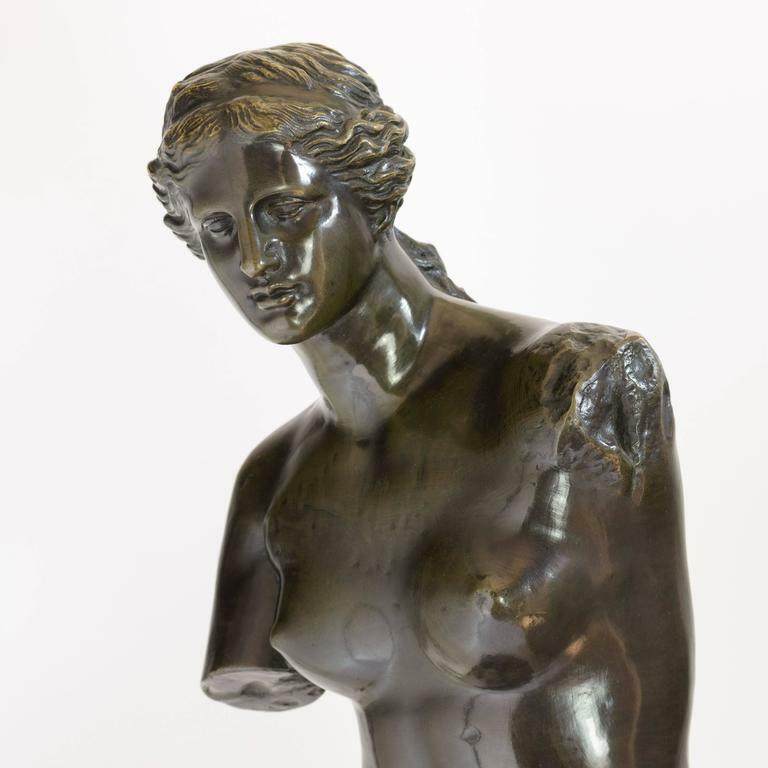 Many believe the Venus de Milo found in the Louvre has given rise to the fascination for this sculptural image. 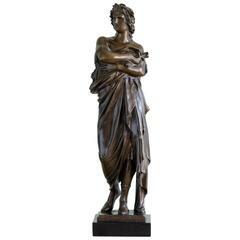 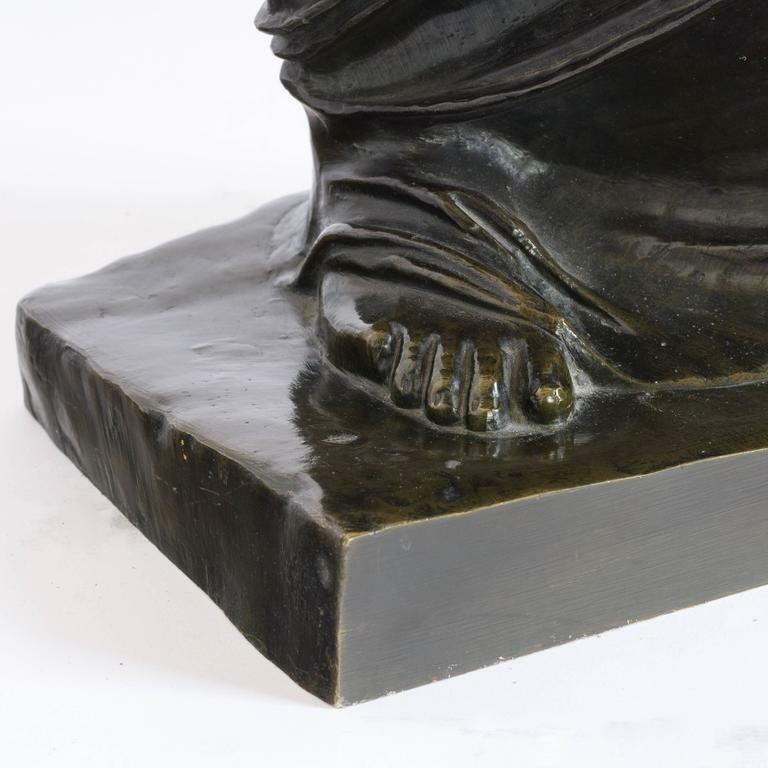 Bronze statue of Vergil holding a copy of the Aeneid, signed 'Dalou', French 19th century, on plinth base. 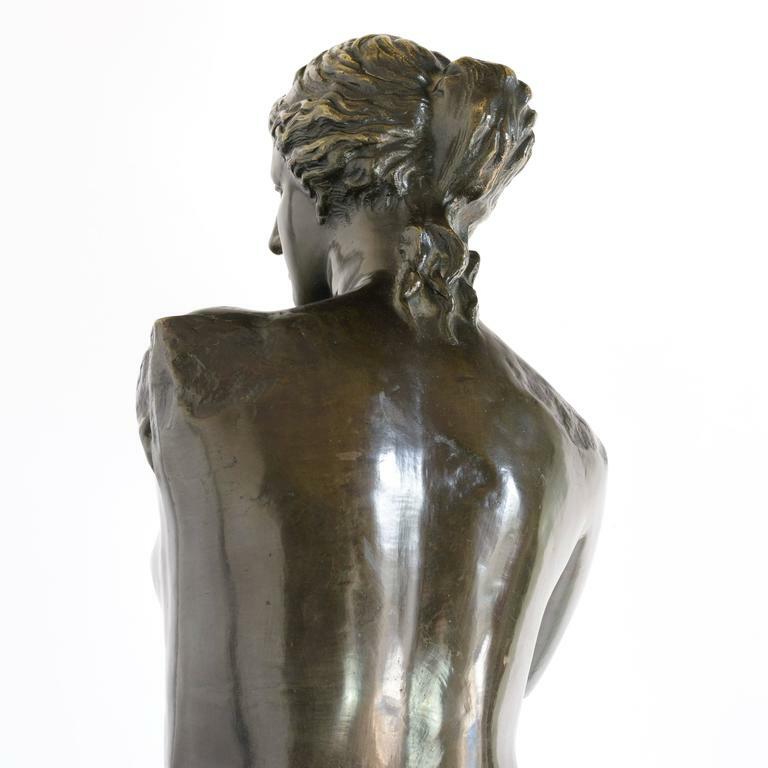 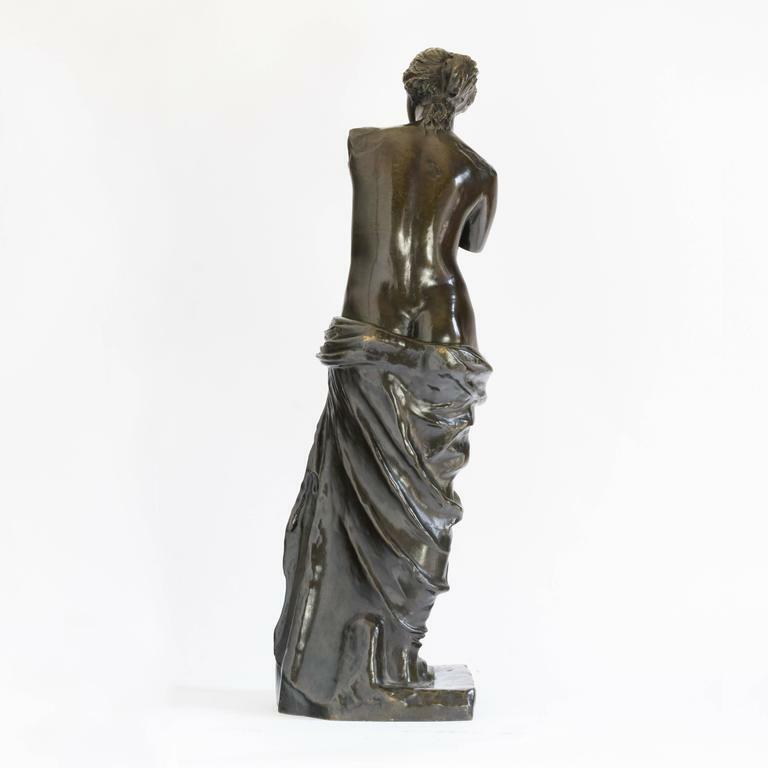 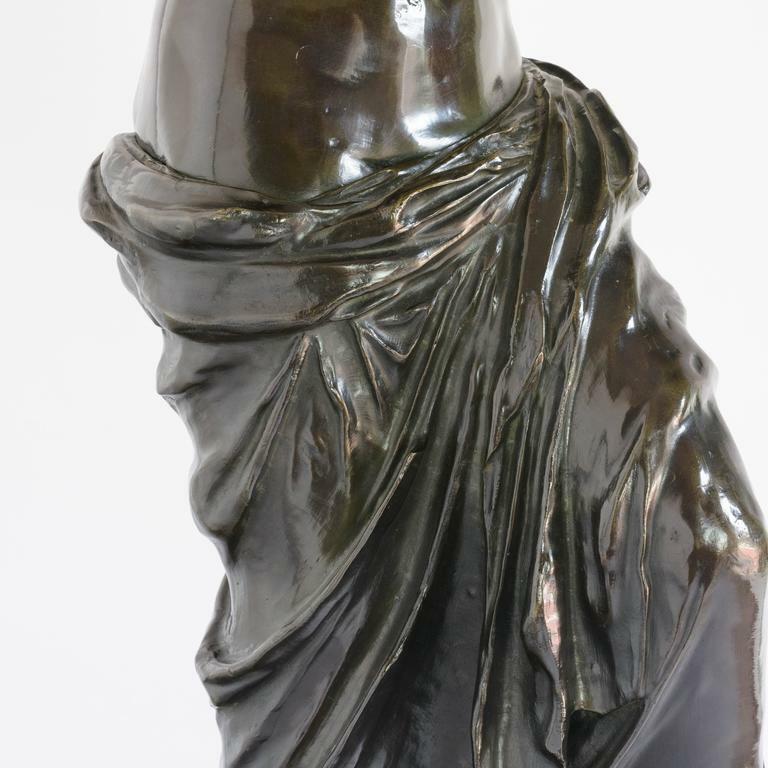 Large Grand Tour bronze sculpture of the "Venus De Milo" We have a 10 inch taller example Grinard Collection #00007373. 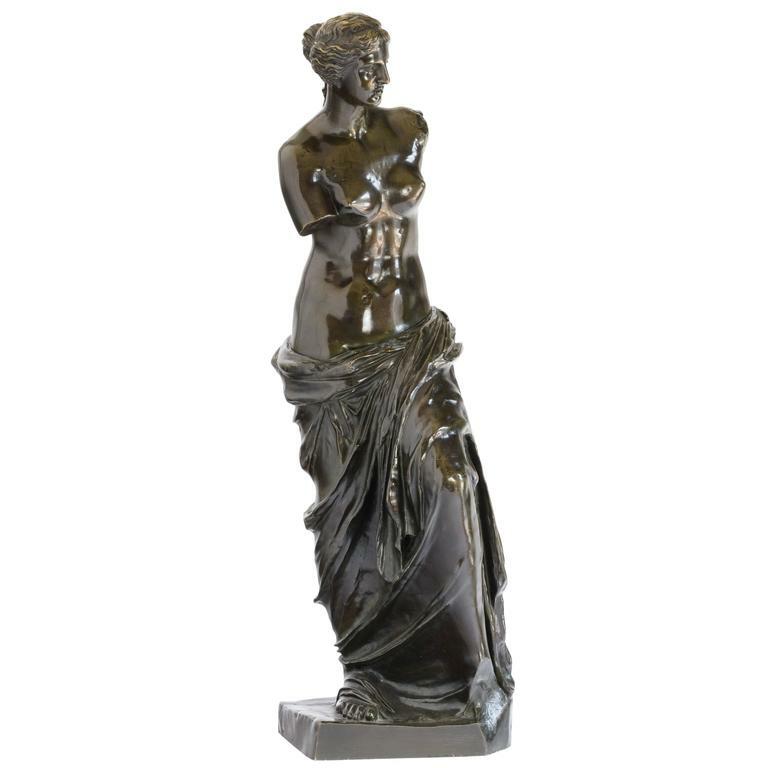 Large stone and resin Venus de Milo decorative statue, circa 20th century.